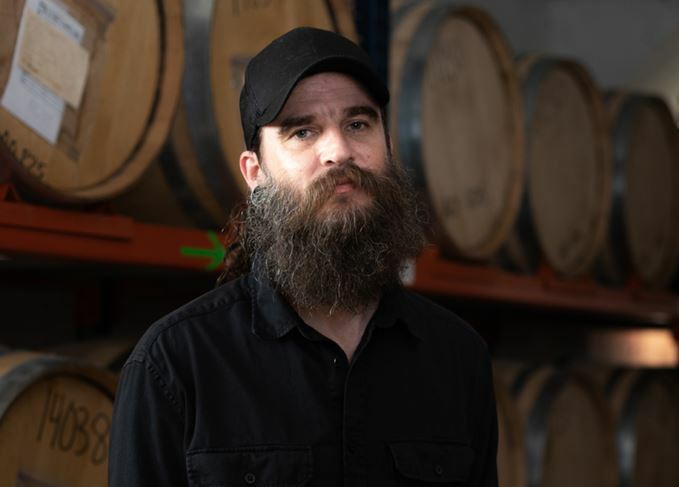 The co-founder and head distiller for Texan whiskey producer Balcones, Jared Himstedt tells Matt Evans about how his beer-brewing background influences Balcones’ whiskeys, the distillery’s more unconventional experiments and his quest for Texan peat. ‘If you’re a malt fan, it’s a pretty exciting and rich landscape right now. Taiwanese, Australian, American… Anyone who likes malt has some goodies coming their way in the next decade or so. ‘It all started for me with homebrewing beer. Homebrewing, especially 20 years ago, was a movement with a lot of momentum. Craft brewing was at its peak in the US and our local chapter was pretty active for a few years. Me and another guy from that group opened a bar together that was completely craft beer focused, and I had a couple of friends who were saying “oh, if you’re a beer guy, then of course you like single malt”. ‘It just never really clicked until my good friend that had spent some time in Oxford had fallen in love with Islay whiskies. I tried three or four Islays I’d never had before at a bar, and all of a sudden it made sense. ‘From that point on I was devouring any Scotch I could find. Another one of my brewing buddies was basically the same story; he was coming into my bar after close and we were way more excited about whisky than we were beer. We started having conversations about it. One thing leads to another and the next thing I know we’ve got our permit application and we’ve bought a building. Ten months later, we were functional enough to start laying some casks down. ‘We make malt in a very straightforward, traditional way, but doing things like using different yeast strains, combining beer yeast strains with M1 [a yeast strain commonly used for Scotch whisky] just made sense to us. The original goal was for us to make single malt in the US, and once again, some of the reasons we’ve picked M1 and chosen Golden Promise [a barley variety often used in Scotch] has to do with some of our favourite products from the past that used it, and people are now moving away from Golden Promise in favour of higher efficiency varieties of barley. The further we got, the more we felt as though we were preserving something on the decline. ‘People say Texas is hot, but it’s not just hot. Over a two-day period we can have a 40-degree Fahrenheit swing, so in two days we’re going to have more temperature variation than a warehouse in Scotland is going to have all year. You know what barrels are doing when it’s getting hot, expanding and squeezing [the whisky] back out [of the wood]. That cycle, which for most is an annual cycle, is happening sometimes weekly. Sometimes we have to check barrels every two weeks. ‘To mitigate that a little bit, we use exclusively three-year-old yard-aged wood. Yard-ageing time is sitting outside, getting rained on, getting frozen so a lot of those younger, green, sappy qualities are leeched out, leaving a much softer feel even though it’s virgin oak. There’s a maturity you start with from the beginning, but I haven’t figured out how to get the casks to last longer, which is ironic – everyone else is trying to get their whisky out faster, and we’re trying to make ours older without getting over extracted. ‘We also use custom toasting and charring to get an enhanced mouthfeel, with less emphasis on getting the spiciness. We’re working hard with our coopers, even though we’re only 10 years in. ‘We have smoked liquid during distillation, but it’s actually one of the only industry-secret things we’ve got. I can’t say everything you probably want to know about that, but we were doing some kind of bench-top trial that led us down a weird path. We were trying to think about Texas flavour, smoky barbecue, things like that. We didn’t have the equipment to smoke grain so we thought ‘what if we did the liquid? No one’s ever done that’. ‘We kind of just went one step at a time, but the final product, Brimstone, reminds people of the flavour of Texas. Brimstone is a little over the top and not for everyone, but I can’t think of another product that’s a one-to-one substitute when I want that particular dram. ‘Matt Hofmann from Westland encouraged everybody that was working in the American single malt category to get our heads together and unify into a bigger group going forward, as opposed to individually educating consumers. It’s not a super proactive group – we’re not doing loads of classes and tastings – but we did come up with a proposal for a legally recognised definition and submitted it to the federal government. ‘There’s been a ton of press about it, and they’re very approachable and excited that we’ve done the legwork and brought it to them. All they have to do is articulate it legally and hopefully just make our proposal part of the federal code for standards of identity. It’s kind of fun to finally see the category get some attention. ‘The amount of questions we have and things we want to explore is vast, and not the easy stuff like “are you guys going to do any fun finishes?” That’s not the cutting edge. Rum is a whole other universe: we make one very specific kind of rum, and we want to know what else is out there for us. ‘One of our more exciting projects is the finding of a really old document on Texan peat soil used for agricultural purposes. I should probably be working on our sales and marketing plan, but all I want to do is drive out to east Texas and try and find this peat.